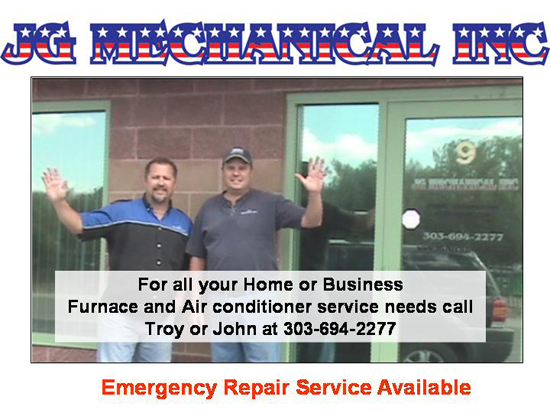 Furnace Repair in Centennial provided by JG Mechanical, a family owned and operated business understands the importance of heat during the cold winter months and provides the fastest service possible to keep you and yours warm. Providing residential and commercial customers reliable, quick as well as quality furnace repair service with our experienced, clean, trained and licensed professionals that are eager to see to your heating needs. When you need furnace repair in Centennial, Colorado, you can trust that JG Mechanical will arrive promptly with a fully equipped and stocked vehicle with most needed parts to complete repairs ASAP. No matter the type of service you need, our repair techs are more likely to get the job done right, when you need it. 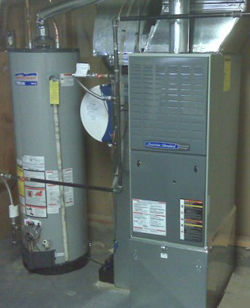 We know that with furnace repair in Centennial or any other city that you have many different choices and we strive to make the decision to choose JG Mechanical an easy one, with great customer service at a great price and fast. Do not let your family stay in the cold when we also help you finance your furnace repairs too. Call to find out how or look in the upper left column to read more.